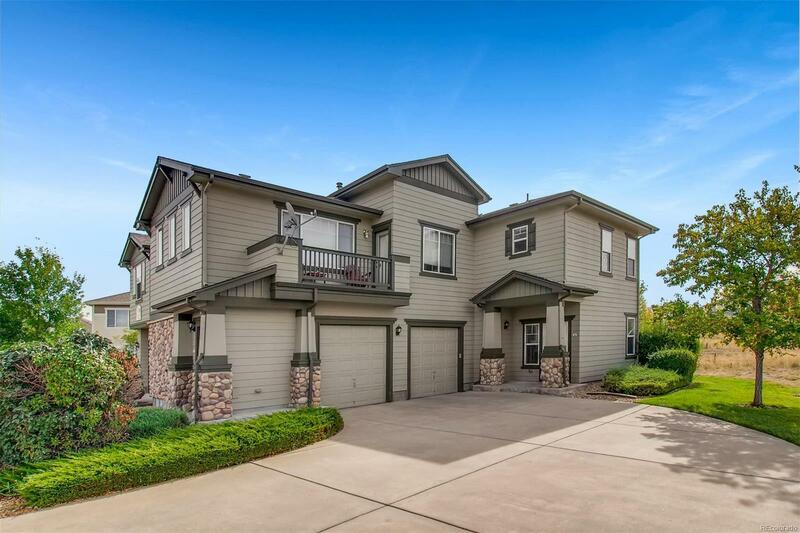 Wonderful large 2 story with open floor plan in the heart of Thornton. Light and bright end unit backing to open space. Great room with fireplace, Nice open kitchen with eating space opening into a nice fenced back yard with private patio. Granite counters, new flooring is luxury vinyl plank- laminate wood floors throughout the home. All kitchen appliances stay. Beautiful master suite with sitting area and 3 way fireplace, 2 closets and nice master bath with tile floors. main floor spacious laundry room. New Storm door. 1 car oversized attached garage. New Paint. Close to shopping and restaurants. Close to public transportation and light rail. Move in ready.